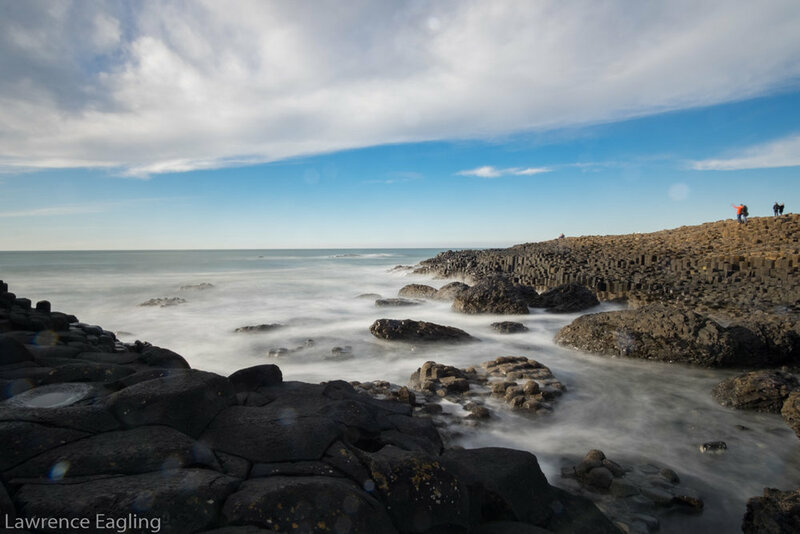 Northern Ireland is a wonderful, inspirational place to live as you are never far from the coast, mountains or city spires, providing every landscape for photography practise. This past weekend my girlfriend and I decided to visit the North Coast during a brief sunny spell of weather (albeit a tad blustery!). I have only recently begun to truly appreciate landscape photography, as previously I used to struggle carrying all my heavy equipment on long walks. However, now that is a thing of the past I am really learning a lot and enjoying the process, particularly developing a greater understanding of how to tweak lighting conditions using Lightroom, with recent inspiration from the fixelpix blog (www.flixelpix.com) and the Lightroom presets it provides. This weekend also provided a great opportunity to practise with my graduated neutral density filters balancing out the bright sky and dark hillsides. One unexpected note to add is that the Fuji X-T1 has quite a tough body as when I dropped it onto a rock aside from a tiny mark on the paint all appears to be fine! 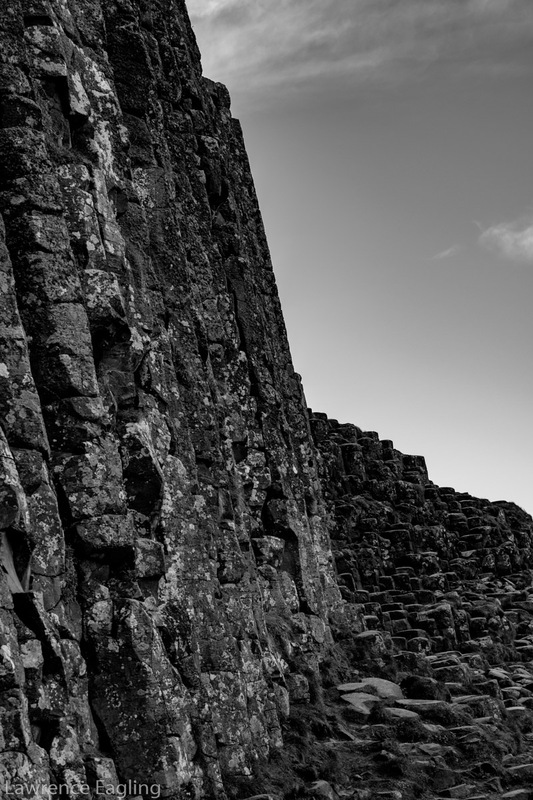 I took a lot of pictures ranging from Ballintoy Harbour around to White Park Bay, Dunluce Castle and the Giants Causeway so I have split this post into two. 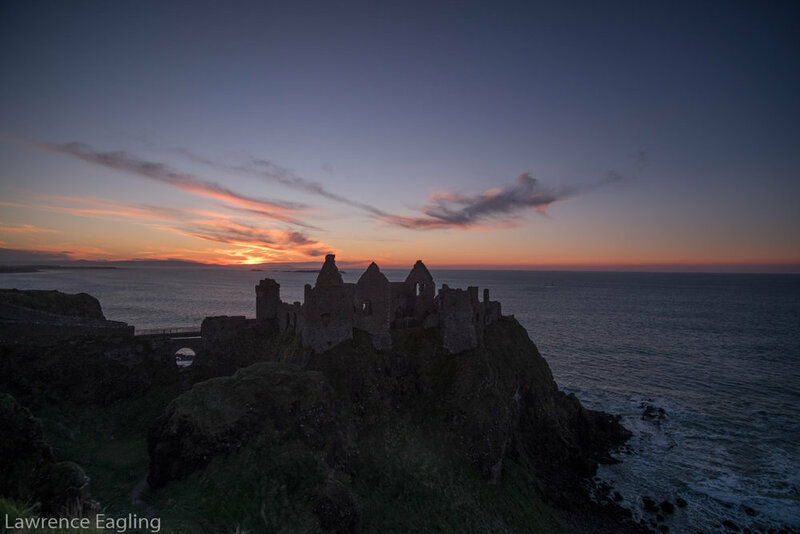 I hope you enjoy the pictures below and the ones to come in the next part, and as usual if you have any comments or if you want to buy a print please feel free to get in touch via my email at lawrence@eaglingphotography.co.uk, Instagram @lawrence_eagling or Twitter @LawrenceEagling. All the photos were taken with the Fuji X-T1, the majority with the Samyang 12 mm and the others with the Fuji XF 50-140 mm or the Fuji XF 23 mm.